Wildling Pictures made a big splash at TIFF last year. Its first two features, Mary Goes Round and Cardinals, premiered at the festival, as well as the studio’s short film Bickford Park. Partners Matt Code and Kristy Neville were also honoured with the CMPA Indiescreen Award for Emerging Producer. We chatted with Code and Neville about their packed production schedule, the stories and creators they gravitate toward, and why passion is a prerequisite for the job. You had a big year last year! What have you been up to since TIFF 2017? Wildling has been busy! 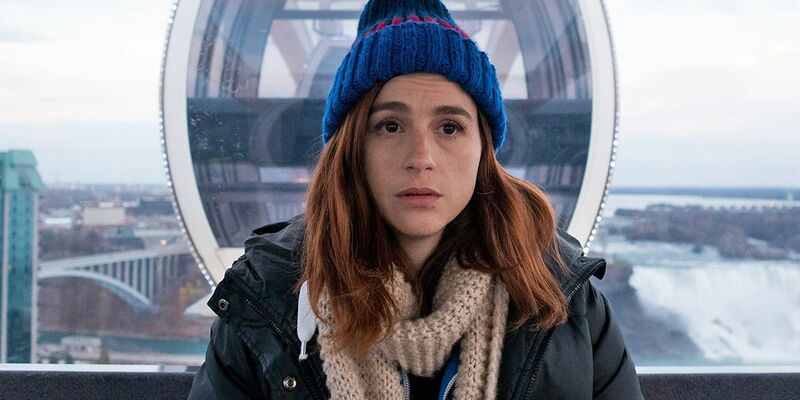 Last fall, we were the Canadian service producer on Pippa Bianco’s first feature, Share, for Loveless and A24. Over the winter, we premiered What Walaa Wants at Berlin. In the spring, we line produced Run This Town—starring Ben Platt, Nina Dobrev and Damian Lewis—for Randy Manis and Jonathan Bronfman. We have lots of projects on the go, including Jay Baruchel’s next directorial project, Random Acts of Violence, and Ben Lewis’s directorial debut, More Than a Friend. Beyond that, we have been developing and financing a number of our own projects and travelling to markets to build new relationships internationally. We’re very focused on developing our impact in the US and foreign markets with Canadian-produced projects, including television series. Much of the work you’ve done under your company’s banner are poignant, true-to-life stories anchored by a strong yet flawed female lead. Are these the types of stories you want to keep telling? First and foremost, we want to tell stories that are bold and true to the filmmaker. Beyond that, it’s our gut feeling. What we respond to is what we make—we have to love it deeply. And sometimes that’s as much about the filmmaker as the film: they become our family, and we want to do anything we can to see them succeed. So while we feel like you’ll see our projects evolve over time—we’re developing some projects that fit your description, but also thrillers, romantic comedies and more—the way we develop relationships with filmmakers will allow us to keep producing films that tap into a deeply emotional and raw place. As for female protagonists, contributing to the growth of diversity in those represented on the screen, as well as those who work on the films, has always been personally important to us. It’s not coincidental that a lot of our films reflect that. You’ve developed strong working relationships with Canadian creative talent. How do you go about finding those creators? There is no one way. A lot of them are people we have known for a long time and want to support. Others have come to us through introductions, or we have found them after responding to their work, and our philosophies have felt compatible. We spend a lot of time keeping an eye out for new filmmakers. We also love when agents or others send new people to us. And we always look for passion in our collaborative partners. Because if someone is truly passionate, it makes it that much easier for us to do what we do. Making movies takes a lot of patience and perseverance, and it’s paramount for us to work with people who value our input and the input of the entire creative team. If you’re in it for the long haul and passionate about making the best thing possible, we’ll put ourselves fully behind you. With so many new projects on the go, it’s probably fair to say that you’ve made the transition from emerging producers to established producers. Looking back, what advice would you give to a producer undertaking their first feature film? Work as hard as you can. And then reach down deeper than you thought possible and go a little harder. You will feel like you don’t have the money you need or the relationships to get the money you need, and that’s probably true. So you’ll work twice as hard. You won’t sleep. You’ll feel stress like you never have. And you’ll feel like you are failing all the time. But you’re not. You’re doing the thing, and there are literally thousands of people who wanted to do the thing, but didn’t. For that you should be proud. Bonus: if you can, find a partner. Everything is infinitely better when you’re working with someone who reminds you of the above.